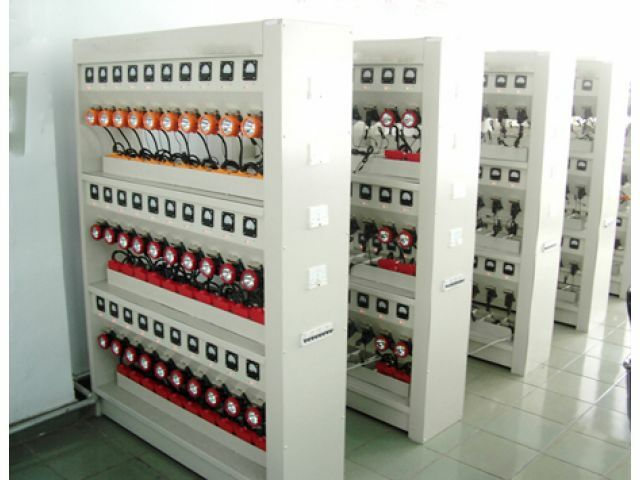 MLS type charging rack is one of charging equipment used for mining lamp with lithium battery, and it has safeguard with overflowing, short-circuit and overtemperature. It is made of cold roll steel with the advantages of small capacity, light weight, low noise and energy conversation. It has indication function of charging current and charging state. And it has charging bayonet of standard mining lamp and can also charge for multi-function head lamp with the convertor.